On November 12th 1964, during the third phase of the Second Vatican Council, the Royal Shakespeare Company gave a Shakespeare commemorative recital which was attended by Pope Paul VI. The recital, which took place at the Auditorium in Palazzo Pio in Via della Conciliazione near St. Peter’s Basilica, was part of the celebrations for the fourth centenary of William Shakespeare’s birth in Rome. Excerpts from the Sonnets, The Passionate Pilgrim, and from some of the the plays were given by RSC members Dorothy Tutin, Tony Church and Derek Godfrey. Italian actors gave readings in Italian in the second part of the program. British actor Tony Church arranged the English text; Orazio Costa was in charge of the Italian adaptation and Giovanni Zammerine played the organ. The event acquired a clear international resonance, as the Pope sat, throughout the performance, on a raised platform amid many of the 2000 Vatican Ecumenical Council fathers from all continents, the College of Cardinals and many other dignitaries attending the Second Vatican Council. The 1623 First Folio owned by the RSC was sent to Rome for the occasion. After the recital, Dorothy Tutin asked the Pope to bless it. 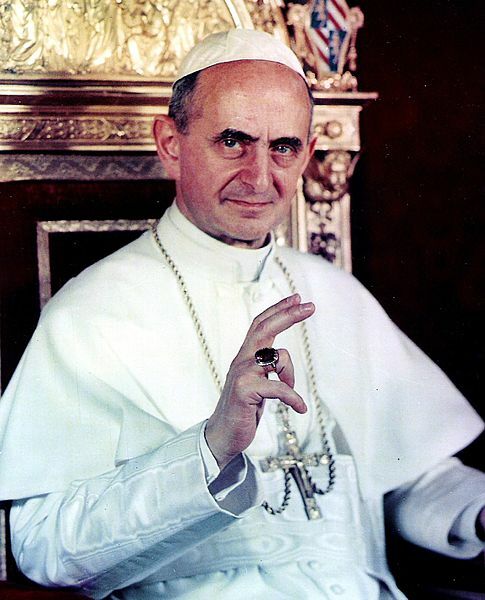 Paul VI misunderstood her words and thought it was a gift for the Vatican Library. As one of his aids walked away with the prized book, some 1964 journals report, bystanders heard the Pope say: “It will make a beautiful memento for this occasion.” Archbishop Heenan explained to the Pope it had been a misunderstanding and the book was returned to the members of the British company, but to this day, it is not clear if the First Folio was finally blessed or not.